The first month of 2018 seems to have brought big cheers to the automobile makers in the country as they logged good growth in volumes. 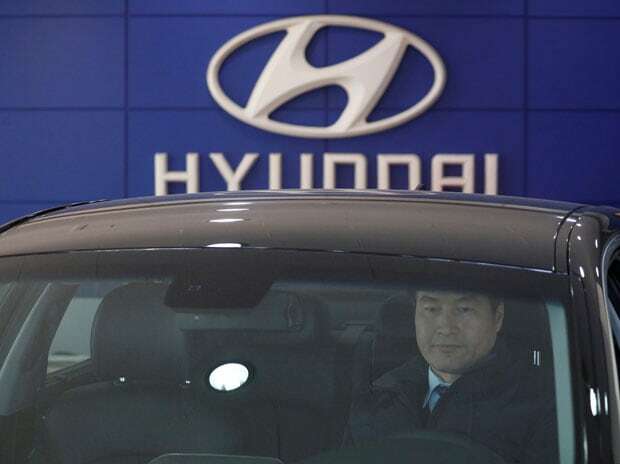 "2018 has started on a positive and promises progressive growth for the industry, with company's volume growth of 8.3 per cent on improved buying potential, led by stable micro economic factors," said Rakesh Srivastava, Director, Sales and Marketing, at Hyundai Motor India Ltd (HMIL) on Thursday. Commenting on the company's sales performance in January, Rajan Wadhera, President, Automotive Sector, Mahindra & Mahindra Ltd, said: "We are happy to have begun the calendar year with an overall healthy growth of 32 per cent. We have seen a good growth across our portfolio of products both personal and commercial." India's largest carmaker Maruti Suzuki India Ltd last month logged 4.8 per cent volume growth compared to January 2017. In a regulatory filing in the BSE, the company said it sold 151,351 units (domestic 140,600 units, exports 10,751 units) last month, up from 144,386 units (domestic 133,924 units, exports 10,462 units) sold in January last year. While the company's mini (Alto, WagonR), mid-size (Ciaz), vans (Omni, Eeco) saw sales sliding down during the period under review, segments like compact (Swift, Celerio, Ignis, Baleno, Dzire, and Tour S), super compact (D'Zire Tour) and utility vehicles (Gypsy, Ertiga, S-Cross, Vitara Brezza) logged volume growth. HMIL, the country's second largest car maker sold 56,216 vehicles both in the domestic and overseas markets, registering a growth of 8.5 per cent, from 51,834 units sold in the corresponding month last year. It sold 45,508 vehicles in the domestic market in the last month, up by 8.3 per cent, from 42,017 units sold in January, 2017. The carmaker exported 10,708 units in January, as against 9,817 units shipped out during corresponding month last year. On its part, Mahindra & Mahindra Ltd sold 52,048 vehicles up by 32 per cent, from 39,386 units sold in the same month last year. In the passenger vehicles segment which includes UVs, cars and vans, it sold 23,686 vehicles in January 2018, as against 20,169 vehicles during January 2017, registering a growth of 17 per cent. The company's domestic sales stood at 49,432 vehicles during January, up by 33 per cent from 37,115 vehicles during the corresponding month last year. In the medium and heavy commercial vehicles (MHCV) segment, the automobile major sold 1,049 vehicles for the month, registering a growth of 70 per cent. Exports for January 2018 stood at 2,616 vehicles, a growth of 15 per cent over 2,271 units in the year-ago month. Wadhera said the growth in the MHCV segment lends credence to the positive momentum in the economy, which can be seen even in the growth numbers of its small commercial vehicle portfolio. "We believe this momentum will continue in our fourth quarter (of current fiscal) numbers," he said. Toyota Kirloskar said it sold 13,329 units last month, up from 11,252 units in January 2017. "It is a delight to usher in the new year with a double digit growth. We are happy to have sustained the positive growth momentum post GST. "The customer demand has consistently been strong and we have catered to the growing customer demand," N.Raja, Deputy Managing Director of Toyota Kirloskar, was quoted as saying in a statement. According to Tata Motors, it sold 59,441 units of commercial and passenger vehicles in the domestic market last month as against 41,428 units sold in January 2017. The company's commercial vehicles sales from exports in January 2018 was at 4,900 units, a growth of 5 per cent over last year. Pure play commercial vehicles maker Ashok Leyland Ltd sold 18,101 units last month, up from 14,872 units sold in January 2017. In the two-wheeler segment, Eicher Motors said it sold 77,878 units in January, up from 59,676 in January last year.